The unglamorous title for our council area is Ward 22, slightly easier to say than the lengthy Fort William and Ardnamurchan Ward. 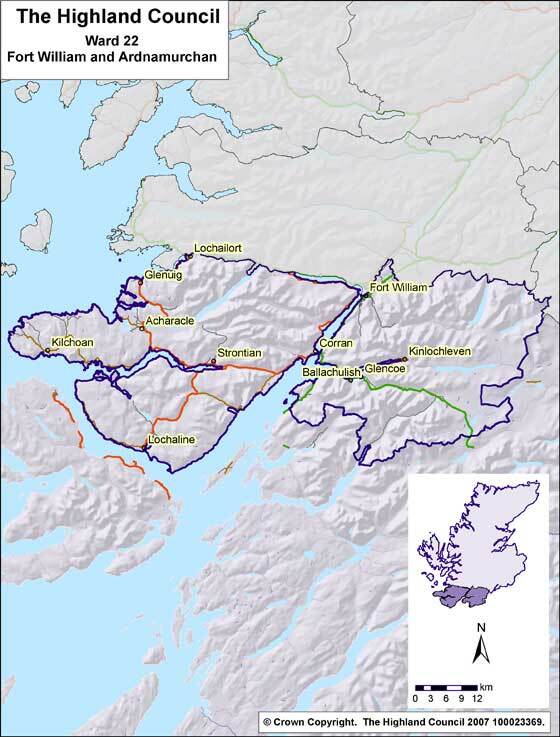 Following the re-organisation of ward boundaries, the Fort William and Ardnamurchan ward was created for the local elections in 2007, electing four councillors. This “super-ward” with nearly 11,500 residents saw the merger of other more localised wards that had been centred on small communities. Covering a massive 2.600 square kilometres, the ward stretches from Ardnamurchan Point in the West to Corrour in the East. 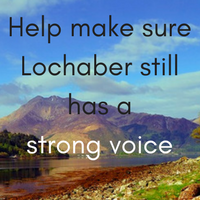 It includes the major population centre in Fort William, and the larger villages of Ballachulish, Kinlochleven and Strontian. It’s a diverse ward with many competing interests and demands, with a large rural population and many residents living in scattered or remote communities. It is vital that people who understand the area make decisions locally. Instead, councillors who have little or no understanding of the geographic challenges of the ward make most decisions in Inverness. Many residents still think one councillor represents them, conveniently allowing some councillors to ignore certain communities or shift the responsibility to someone else.